This is a picture I have of the 7 Hall brothers who played for Gloucester. Charlie Hall played for England, and 5 of the brothers played for the county. They are the great uncles of former Gloucester players Wez Hall and his son Christopher. The brothers were unbeaten as a Sevens side. Mark, drop me an e-mail, I would really like to exchange information with you. Lorraine Cynthia Hall is my mum. I’m pretty sure I’ve heard of Auntie Phylliss, I will ask my mum! Mark, we are related, see below for who you are to me. Steve, we are also related!! Anyhow I’ve done tons of research into the Hall Family tree, would be good to touch bases with both of you, perhaps you have photos etc, and can fill in any blanks in my ever growing tree. I’m also immensly proud of our rugby heritage. email me at nik@inkyturtle.co.uk. Mark Keightley is your 2nd cousin Lorraine Cynthia Hall (1955 – ) Mother of Mark Frederick Hall (1918 – 1996) Father of Lorraine Cynthia Albert Edward Hall (1879 – 1949) Father of Frederick Phyliss Marjorie Hall (1915 – 2007) Daughter of Albert Edward Marie Underwood (1937 – ) Daughter of Phyliss Marjorie Nicholas Owen Pugh. 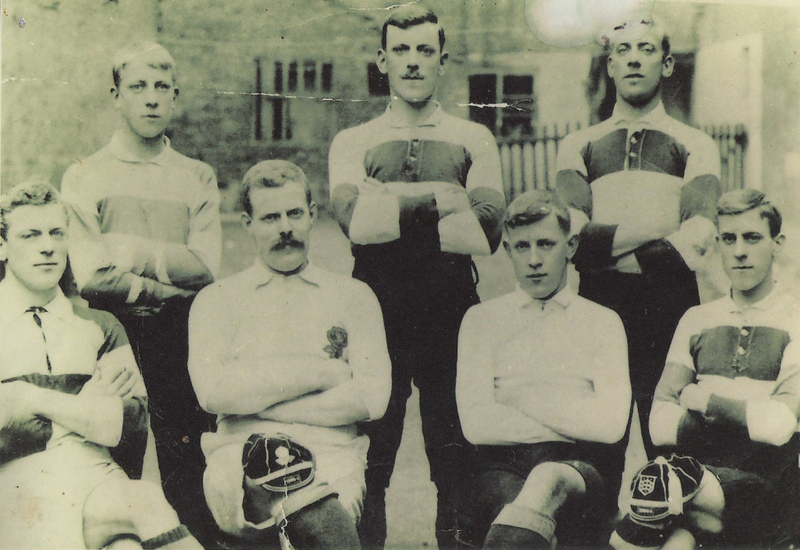 Hello Mark, the 1905-6 team photo shows your great grandad Albert and my grandad Ernie sitting shoulder to shoulder. They played in the same side many times. They must have been good mates!! Steve, I am also a descendant of the Hall Brothers, I think you may know my mum Lorraine Hall (now Keightley). I did a lot of research on them about 10 years ago and found out all sorts. Get me on mark_keightley@hotmail.com if you are interested…..
Hi Sari – the 7 Hall brothers who played for Gloucester were Charles, George, Albert, Henry, Ernest, James and William, all the sons of Charlie and Annie Hall. The only S. Hall we can find is a scrum half who played ten games between 1973-75. Do you have any more information please – dates he might have played, his age, etc? What about Sidney Hall? Was Sidney Hall apart of the seven brothers? The 7 Hall brothers played over 800 games for Gloucester, but I am slowly unravelling what is for me, a fascinating story. The eldest, Charlie obtained England honours, but the youngest, Billy also played 240 times for Oldham and featured in a famous ‘Rourkes Drift’ 3rd test match for Great Britain’s ‘Lions’ v Australia in 1914 where we won the Ashes. Ernest played v the first touring ‘All Blacks’ side and also got the winning tries in the County Cup Final. Albert was the longest serving brother for Gloucester, playing from 1904 to 1924, 20 years! George went to play for Hull RFC, Jim and Ernest both ‘transferred’ to Coventry RFC – I’m still trying to find out more….. I also have this photograph as Ernest Hall (front right) was my grandad. He moved to Coventry from Gloucester and played for them. His son, Ernest junior (my dad) is 92 now and recalls it and many other stories of the time. He still has the cap you can see in the photo.